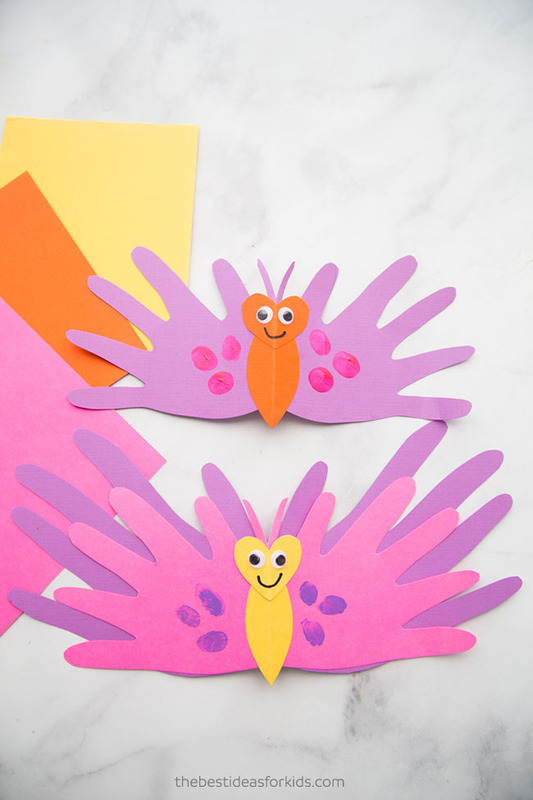 These butterfly handprint cards are adorable! 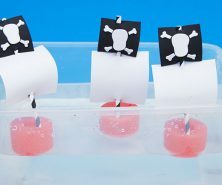 We love that these are made from your child’s handprint too. It adds such a nice personal touch. And they are perfect to give for Mother’s Day or Father’s Day! 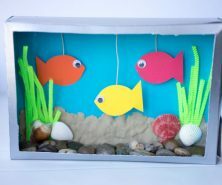 The best part about this craft is it’s handmade with love and comes with an adorable keepsake of your child’s handprint. 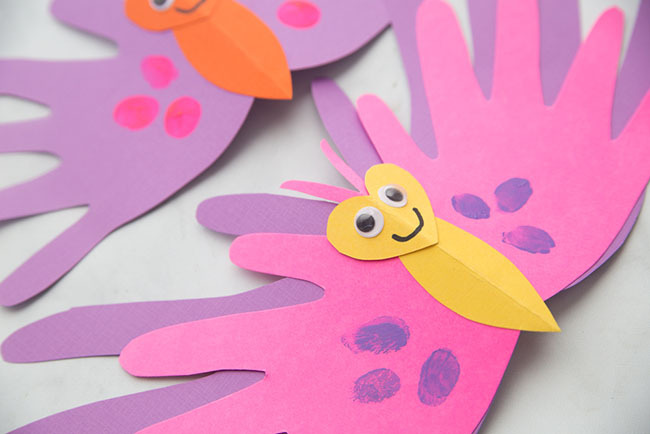 These would make perfect cards to make in preschool or a daycare for Mother’s Day. 1. First fold over your card stock in half. 2. 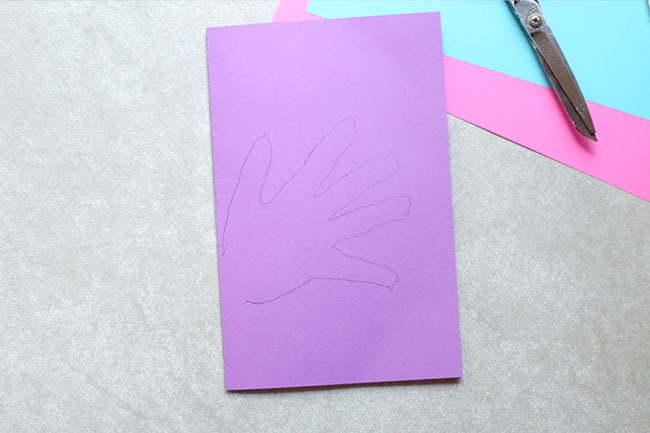 Now trace your child’s hand as shown below, so that the wrist is on the fold side (when cut out you’ll get a mirrored hand). 3. 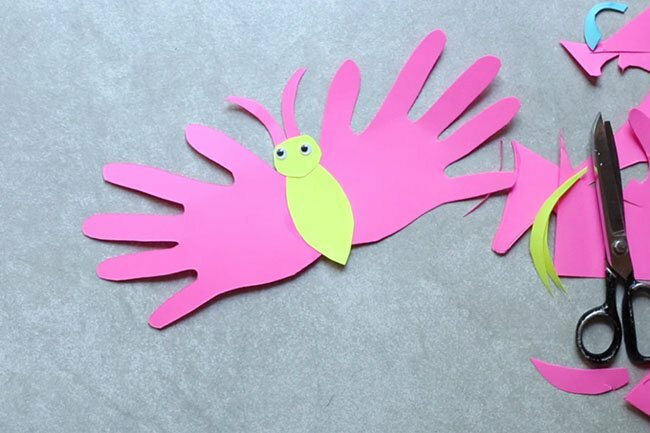 Now add an antennae and cut out your butterfly! 4. 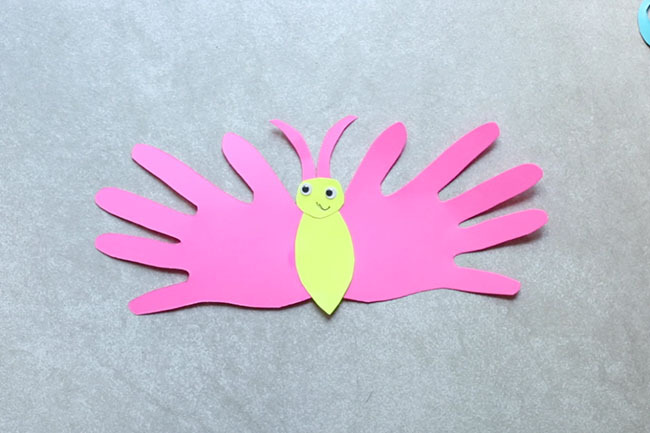 With a different colored paper, cut out a body and head and glue to the outside of the butterfly. Glue on some googly eyes. You can make the head a circle or a heart. We have done it both ways! Here is what the butterfly card looks like with a heart head. 5. Now draw on the mouth. 6. Decorate the handprint wings. We have made these cards with pom poms as shown and also with fingerprint painted spots. 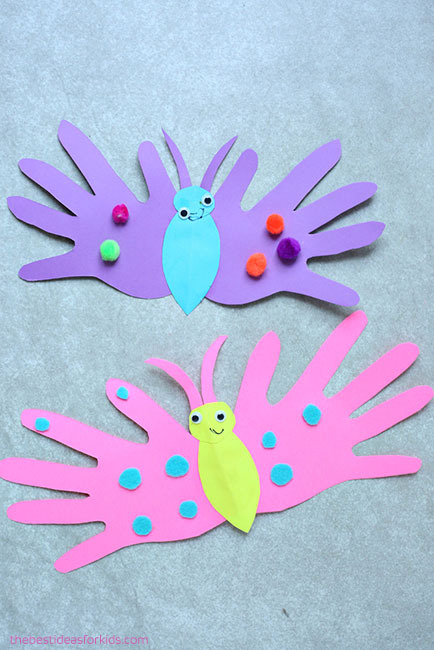 You could also do rhinestones, craft foam or any other craft decoration for the wings. 7. 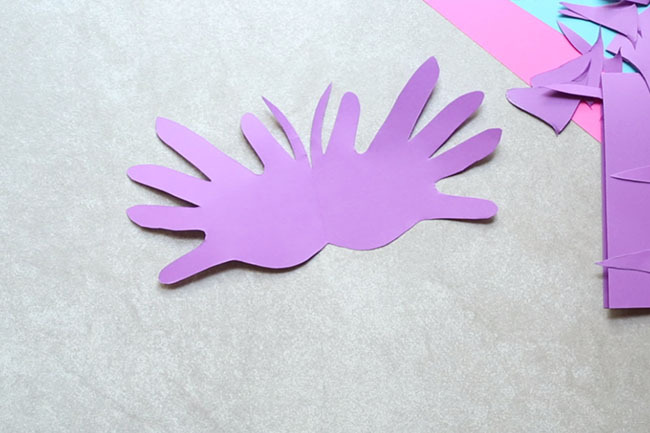 To make one for Grandma, trace out a Mom or Dad handprint to add to the back of the child’s handprint. Grandma will love to receive this card from both of you! 8. 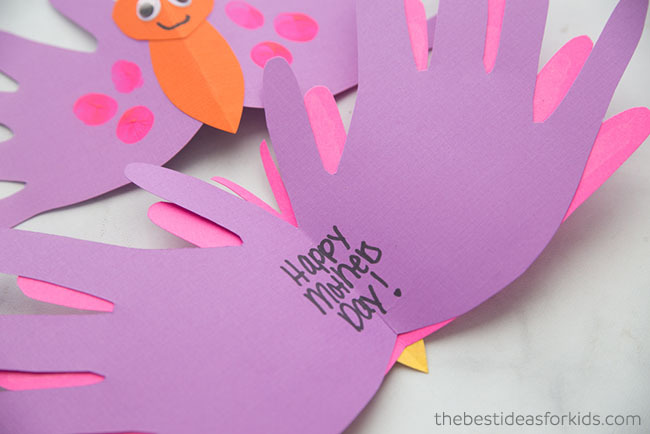 You can add the Mother’s Day handprint poem inside or simply write a nice Mother’s Day message. We think these may be the cutest Mother’s Day cards we have ever seen! 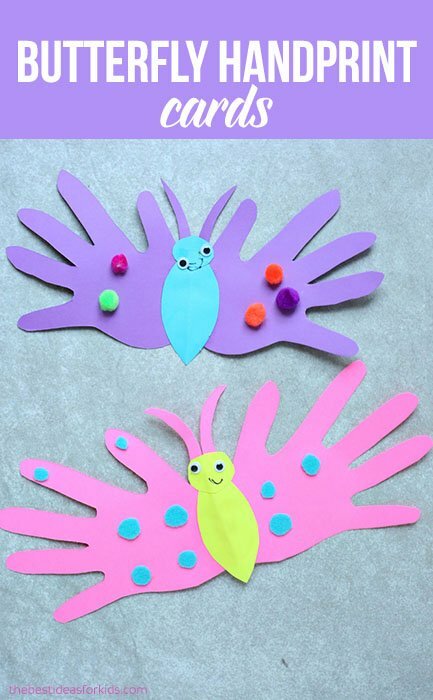 Looking for another cute butterfly craft? 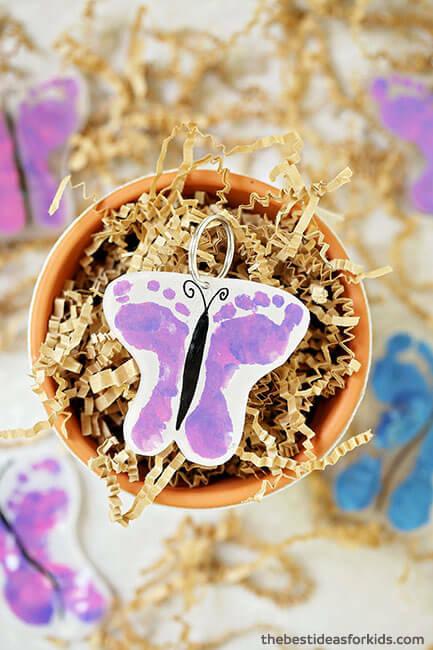 Try these Footprint Butterfly Keychains! These are perfect for a gift! 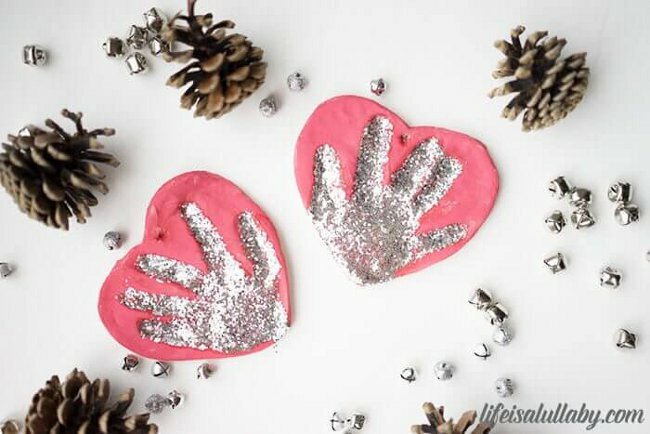 These handprint salt dough keepsakes are also an adorable craft to give as a gift! 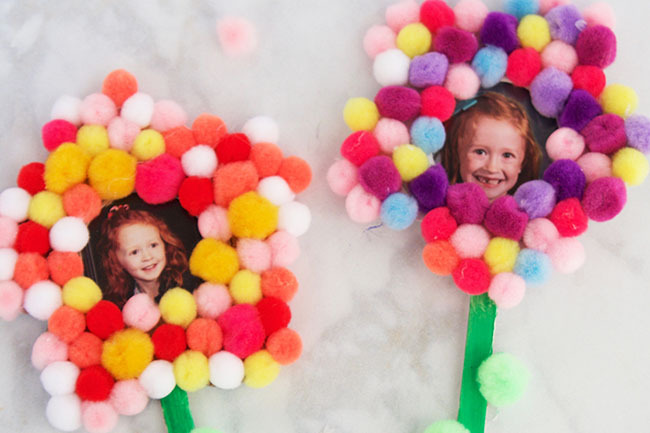 These pom pom flowers can be turned into magnets for the fridge – or simply just to make and give as a gift for Mother’s Day. Love your ideas… Thank you for such a great page!!!! We are making these with our Daisies for a tea party craft pre mothers day! That’s so great! Thanks for sharing Kathleen!